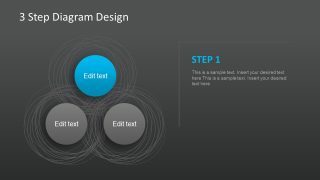 The Free 3 Step Diagram Design for PowerPoint provides a three-unit template of circular segments. The presentation slides are ideal for highlighting strategies and concepts. For instance, demonstrating top three increase in performance or productivity strategies of a company. This PowerPoint diagram is a generic ppt template free for presenting various topics in any industry. 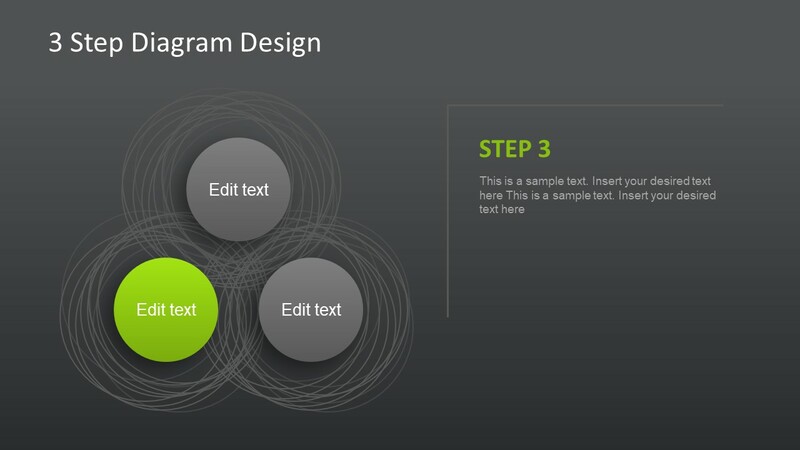 Here, the 4 slides of an awesome vector design have a creative feature of displaying 3-step diagram template. The first template shows a complete 3 step triangle. However, there are individual PowerPoint slides to focus on individual sections separately. This free diagram design assist users to explain a relationship between three segments as outline circles indicate interdependencies. 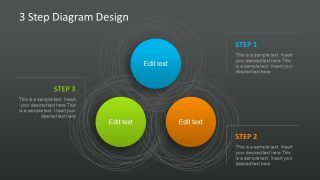 The triangular process flow template of Free 3 Step Diagram Design for PowerPoint has circle shape segments. 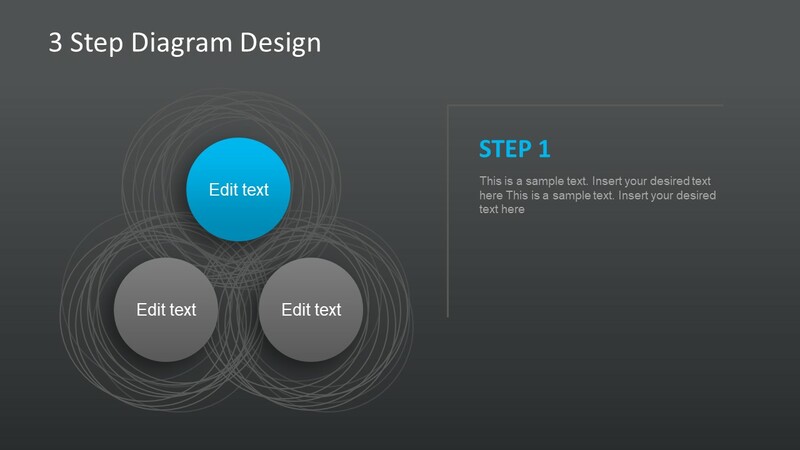 This modern PowerPoint of vector shapes best suits the business world to present several business agendas in three steps. The features of free presentation template include customization of text, colors, modification of shapes and reuse in other PowerPoints. For example, select the three circles one by one and change the color through shape fill option in format menu. For slides to match company brand, customize the background from variants color option in design menu. There are many complex formatting options of animation, view, slideshow, layouts and themes which users can explore and personalize presentations. The segments of 3 step diagram aid in creating an appealing presentation design of PowerPoint diagram. Such as, the high-quality graphics, color gradient and contrasts makes an interactive visualization of diagram. Further, the template is useful business innovation and creative marketing process flow as it accents the strategic goals. 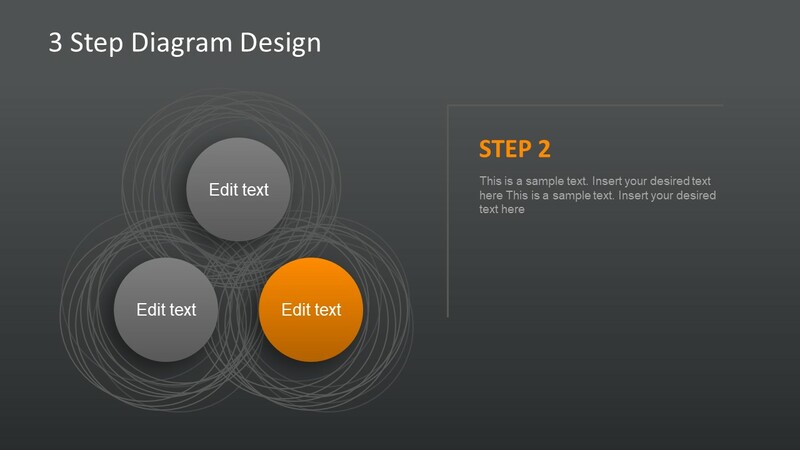 Another example to use this 3-step diagram design is available in main catalogue as Mission, Vision and Values Slides for PowerPoint. It represents the idea of using three segments to explain complex elements in business management.